Ryan Fitzgerald has been promoted to the role of director, entertainment operations for Princess Cruises. In this position, Fitzgerald will oversee the entertainment leadership and programming onboard all 17 ships in the cruise line’s global fleet. Travelers looking for memorable experiences and celebrations “doing this” together with family and friends can take advantage of Princess Cruises’ “Come Back New” sale, with added savings and perks cruising to new destinations, cultures and sites. The sale begins tomorrow, March 1, 2019, and runs through April 30, 2019. Princess Cruises has launched its first international advertising campaign developed and produced specifically for Asian markets, titled “Princessa.” It showcases the most popular worldwide cruise destinations offered by Princess Cruises through a beautiful storytelling moment of a multi-generational family onboard. 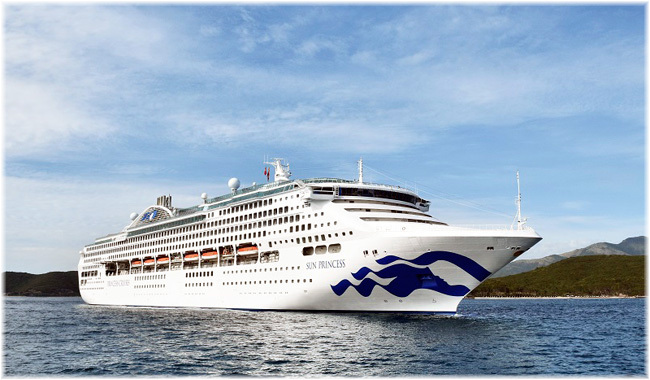 Princess Cruises is growing and today major milestones for three ships under construction at the same time were celebrated, at Fincantieri Shipyard in Monfalcone, Italy. Princess Cruises guests onboard Diamond Princess will now enjoy a refreshed onboard atmosphere following an extensive 14-day, multimillion dollar dry dock in Singapore, continuing Princess Cruises “Come Back New Promise” commitment focused on investing more than US$450 million across the global fleet. Princess Cruises first began cruising to Alaska on June 3, 1969 with Princess Italia carrying 525 guests to this breathtaking bucket-list destination. This year, the #1 cruise line in Alaska is celebrating its 50 years of sailing to the Great Land by introducing new entertainment, shore excursions and culinary offerings to mark this significant milestone. 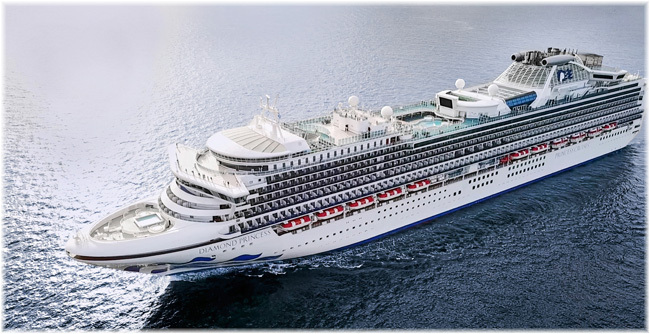 Princess Cruises announced today the expansion of its Princess MedallionClass™ experience to three additional ships – Royal Princess, Crown Princess and Sky Princess – building on the enhanced and personalized cruise vacations guests are currently enjoying on its Caribbean Princess ship sailing the Caribbean, and with Regal Princess starting February 17, 2019. 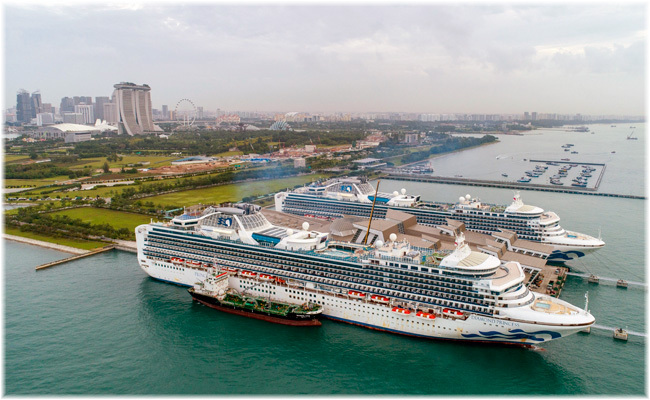 For the first time in Southeast Asia, two Princess Cruises’ ships -Diamond Princess and Sapphire Princess – have docked in several ports in Southeast Asia on the same day. The two sister ships are sailing in the region for the Singapore homeporting season. Princess Cruises, Playing For Change, and the Estate of Otis Redding have teamed up to produce a new video to celebrate the 50th anniversary of Otis’ iconic hit “(Sittin’ On) The Dock of the Bay” filmed in port cities around the world visited by Princess Cruises – San Francisco, Los Angeles, Ft. Lauderdale, Hawaii, Jamaica and Barcelona. Princess Cruises today (Dec.19) announced that Chinese guests onboard Ruby Princess have the option to utilize both Alipay and WeChat Pay payment options while shopping in the boutiques.